By default, users can search for members on your Brilliant Directories website by category, but they can only search within one category or sub-category at a time. 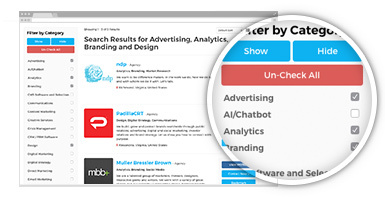 The Dynamic Category Filtering add-on allows users to search within multiple categories at once. 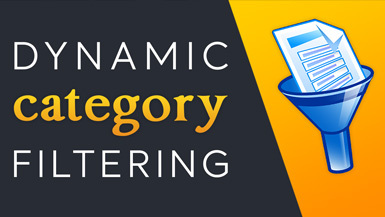 This is ideal for websites that only have one main category with multiple sub-categories. You can configure the Dynamic Category Filtering add-on to conduct either “and” searches or “or” searches for members on your website. The difference between these two types of searches is substantial when considering how you want the search filtering to function. “And” Searches result in a narrow search result pool. If you select three member categories to search: “Windshield Replacement”, “Brake Inspection”, and “Dent Repair” then the “and” search setting will provide you with members who are listed in “Windshield Replacement” and “Brake Inspection” and “Dent Repair”. “Or” Searches result in a wider search result pool. If you select three member categories to search: “Windshield Replacement”, “Brake Inspection”, and “Dent Repair” then the “or” search setting will provide you with members who are listed in “Windshield Replacement” or “Brake Inspection” or “Dent Repair”.